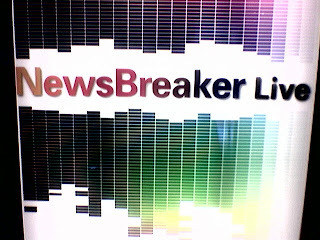 NewsBreaker, the msnbc.com's Breakout-style game that is played by the audience interacting with the movie theater screens went live in LA this weekend. Stay tuned for details and pictures, and if you are in LA, try it in "The Bridge theatre inside LA’s prestigious Howard Hughes Center" (Contagious Mag). A couple of brief blog posts from the creators here and here.